For the second year in a row, Eau Claire has been named an official “Playful City USA” through KaBOOM!, a national non-profit that honors cities and towns across the country for putting the needs of kids and families first, especially kids living in poverty, for whom can be hard to come by. The Playful City USA program encourages cities to transform public spaces to be more playful. When cities design places with kids and families in mind, they make play the easy, affordable, and accessible choice with opportunities to play everywhere family and kids already go. Phil Rechek, director of operations at the Children’s Museum of Eau Claire, was part of the team that won Eau Claire this Playful City USA designation last year. Inspired by the program, Rechek took the initiative to apply for a “Play Everywhere” grant, submitting an idea for outdoor “playboards” that would be mounted to the side of the museum of faces Grand Avenue. From more than 1,000 applications, Rechek’s proposal was one of 50 accepted nationwide and one of only two from Wisconsin (the other was the Madison Children’s Museum) to receive a $15,000 grant for this playboard project. 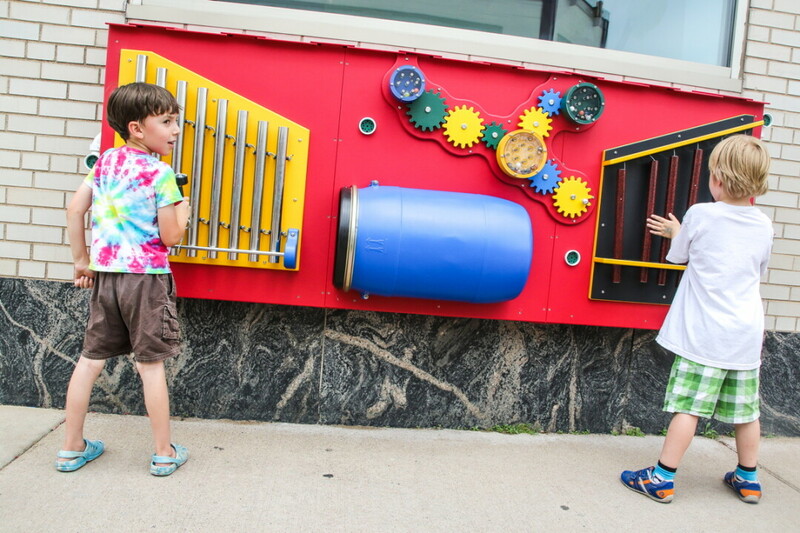 Working together with Steve Larson, an exhibit designer and fabricator, the Children’s Museum of Eau claire created three playboards, each with a different theme: local history, music, and games/play. The playboards are now up on the exterior of the museum and can be accessed by guests 24/7 with no membership or admission fees! 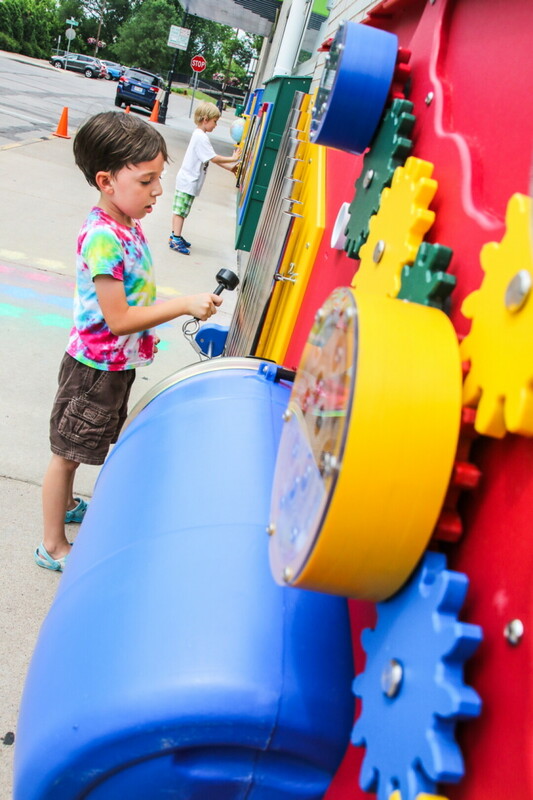 The Children’s Museum of Eau Claire is an interactive environment for children and their grown-ups that inspires imagination, discovery, creativity, and the love of learning. Through hands-on exhibits and interactive programming, kids see, touch, learn and grow their way through important developmental milestones. These interactions are what the museum calls the power of play. Learn more at childrensmuseumec.com.